The URL streamlining happens automatically when you use the Share menu in Chrome (but not Chrome Custom Tabs). You can copy to the clipboard or share directly to another app—no setup required. If you highlight the URL bar and select text manually, you can still get the full URL with all the junk at the end. You can test it yourself with this Amazon URL. We suspect this feature is related to the "canonical page" URLs Google started supporting some time ago. We've seen similar features in AMP pages so that sharing the content would share a usable URL. The general URL streamlining seems subtly different, though. It doesn't work in Chrome v63 or earlier, but it's available in v64. That's in the stable channel now, and it came to beta and dev in the December-January timeframe. There could be situations when you want to manually copy URLs to avoid this feature. 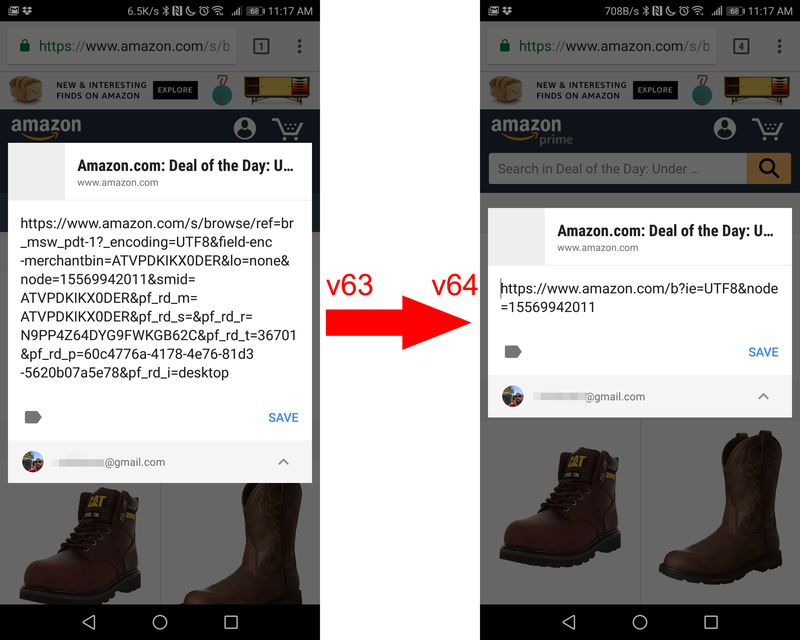 Chrome's URL trimming will even remove anchor tags that load a page to a specific location, For example, the "Free" section of this sale roundup. Share that in Chrome v64 or higher, and it just loads the top of the page. That could be a bit annoying. More often than not, though, this feature is probably going to be incredibly handy.